Traditionally, women’s brogues are a leather pair of shoes with perforated pattern detailing – meaning a pair of brogues is a statement pair of shoes. Over the years, designers have relaxed the definition of brogues to include a variety of materials and choice of detailing, but they usually follow a similar shape. 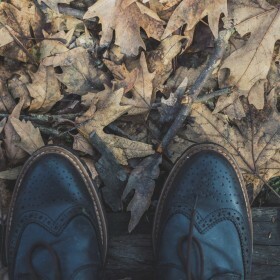 Whether it’s a traditional or modern pair, styling women’s brogues is pretty easy! By choosing a pair of loose-fitting slim jeans and rolling up the hems you will create the perfect blend of business-casual and swap out for a pair of black pants for a more formal look.